Oh yummy! 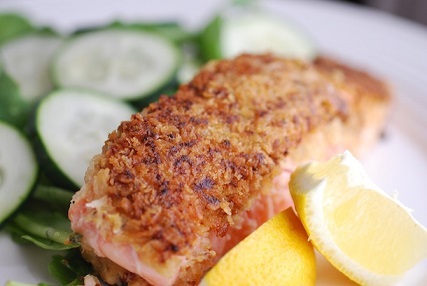 This Mustard Encrusted Salmon with Horseradish is a favorite restaurant salmon recipe! I love to serve this salmon recipe with fresh asparagus and a Spinach and Mushroom Salad. 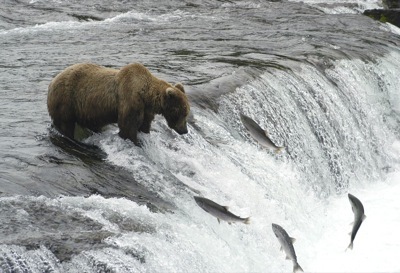 I also know that one of the reasons my restaurant guests love this recipe is that I always use wild Alaska salmon, usually King or Sockeye. For those people counting carbs, this salmon recipe is approximately 22 grams of carbohydrates. If you want to serve 5 stalks (about 5 1/2 inches each) of asparagus to each person, that would be another 2.35 grams. The Spinach and Mushroom salad recipe (for six portions) would add another 4 grams per serving. Total carbs for the entire meal is about 28.35 grams. 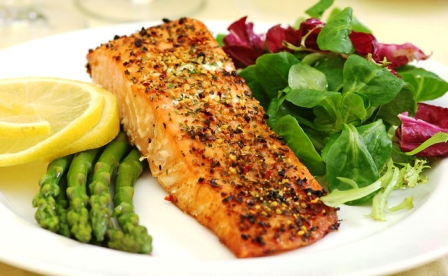 Enjoy your Salmon, the mustard cream sauce, the asparagus and the salad and the company of those you share them with! Did you know? The Romans were probably the first to experiment with the preparation of mustard as a condiment. 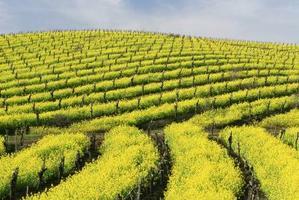 They mixed unfermented grape juice, known as "must", with ground mustard seeds. The popularity of mustard in Dijon (France) is evidenced by written accounts of guests consuming 70 gallons of mustard creme in a single sitting at a gala held by the Duke of Burgundy in 1336!